It’s “Infrastructure Week” — but for real this time. Infrastructure — vague calls for spending more money on it — is a rare area of bipartisan agreement. Both Donald Trump and his two main Democratic rivals campaigned on it. But it’s also been sort of a white whale, in part because no one can agree on how to pay for it. With the Dems taking control of the House, there’s growing speculation that we’ll see a real infrastructure spending package potentially passed in the next year. But the devil will be in the details. A major infrastructure spending package could easily just unleash a new round of low-value highway sprawl. It’s not clear that Democrats — who hold just one branch of government — will have the power, or negotiating skill, to demand the kinds of investments that will help reduce our dependence on fossil fuels and keep our cities growing. In his remarks, DeFazio did emphasize maintenance rather than expansion, which is important. Much of what is often referred to as America’s “infrastructure crisis” can be traced to a lack of discipline about maintenance. Politicians and state Departments of Transportation like to cut ribbons, not fix what has been built. DeFazio did mention transit as well, noting that U.S. transit systems have $100 billion in delayed maintenance obligations. But in his remarks he mentioned, bridges, self driving cars, harbors, aviation, traffic lights, transit, wastewater and drinking water. Notably, he made no mention of pedestrian infrastructure even as pedestrian deaths are soaring. DeFazio has been a champion of transit, walking and biking in the past. But all we know at this point is he’s not coming hard out of the gate calling for a major paradigm shift to go along with more funding. And negotiations haven’t even begun yet. The last time Trump seriously discussed rebuilding our basic services was part of his “Infrastructure Week” at the White House — which turned into infrastructure weak. One of the biggest hurdles with funding infrastructure is the question of how to pay for it. The recent round of tax cuts from Trump and the ballooning federal deficit will limit options some. In the call DeFazio mentioned indexing the gas tax to inflation, but added “I don’t know if we’ll go there.” He also made a vague reference to bonding. The gas tax hasn’t been raised since 1993 — and every year it loses spending power due to inflation. In recent years lawmakers have restored to bailouts and accounting tricks to fund the Highway Trust Fund, which is the bulk of surface transportation spending. The last sentence of the final paragraph of this article has an error: it should read, “In recent years lawmakers have RESORTED (not ‘restored’) to bailouts and accounting tricks to fund the Highway Trust Fund, which (underwrites) the bulk of surface transportation funding.” Bailouts and accounting trickery are actions of LAST RESORT (when there are none others to be had). I might add that we as a country are not very likely to take any meaningful action on wisely upgrading and improving our infrastructure. It is more likely that we will wait until things get so bad (bridges start falling down everywhere) that we can no longer avoid facing up to the problem. Without innovation there’s stagnation. Given recent incredible electric vehicle design advancements, the next move for infrastructure could be to offer 100% electric, single-occupant, tandem-seated, highway-capable vehicle leasing with narrow lane and narrow parking space privileges. Research shows that a 25% transition from side-seated vehicles to motorcycles results in significant traffic congestion reduction. Since single and duo occupant highway commuting is very popular, for traffic congestion mitigation, air quality improvement, and excellent transit desert options, transitioning from side-seated car design to narrow lane and narrow parking space capable thin electric vehicles make the most sense for the future. Yes, indeed. For slow or fast, pedaled or motored vehicles: thin design is best for infrastructure. So, who got to to DeFazio already? When bridges are ready to fall down and tunnels soon to leak, what we do not need is anymore Fantasyland talk about Hyperloop, AV highways, etc. Beyond just road construction, we must seriously deal with public transit–subways, streetcars, etc. Commuter railroads need extensive investment in their Capex to improve infrastructure, equipment; as importantly, to certainly overcome the unfunded congressional mandate to purchase equipment, acquire radio bands, test, train, and install PTC. 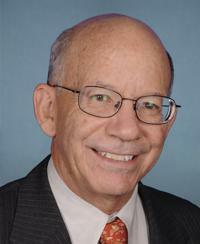 A while ago, DeFazio actually had the the right idea–create a dedicated infrastructure fund (well beyond the dedicated and biased air and highways trust funds) financed by taxing ALL stock market transactions. I would add requiring the hedge funds to move beyond keeping the profits and sticking us with their loses. We also need to focus on a vehicle mile tax to overcome the improved gas mileage of autos. Nothing against funding for bridges and tunnels, but serious consideration of all ideas is a necessity. Otherwise, we might be funding the transit equivalent of rotary phones and computer punch card. Indeed; however, we need to be wise and prevent a profligate waste of such limited funds on unproven, but good sounding concepts predicated on the political whim of the moment. In 2009, Obama had the opportunity to get this country moving with $9 Billion in funding for high speed rail. Rather than focusing this funding opportunity on one viable project to prove its efficacy, Obama played politics and spread those dollars around like bread crumbs to as many states as possible. Of course, nothing was meaningfully Accomplished. So, again before we contemplate emulating the Jetsons, we have potholes to fill and regional passenger rail infrastructure to improve that will give us the fastest and biggest bang for the dollar towards enhancing mobility and economic development. That’s almost the complete opposite of what happened. The high speed rail funding was a stimulus plan to keep people employed throughout the country during the recession by making small but useful rail improvements throughout the country. The centerpiece of the plan was a short high speed rail line from Orlando to Tampa with a stop in DisneyWorld to prove the efficacy of true high speed rail. But it also included speed improvements in Michigan and Illinois so that train service would finally be faster than the car. There were also plans for rail improvements in Wisconsin and Ohio to make more useful passenger train service viable. Republican governors rejected the rail improvements in Florida, Wisconsin, and Ohio. Frankly, the facts do not follow your interpretation. Michigan, and Illinois in particular, gained investment from the refusal of those funds from Florida, Ohio, and Wisconsin. Also, California benefited from the redirection of those funds. Though governed by new Republicans, those 3 states objected to their interpretation of being responsible for the on-going operating costs. In retrospect, the proposed high speed rail project between Tampa-Orlando was totally incorrect for the distance and intended service. Only recently has this corridor identified a more appropriate mode of higher speed passenger rail as offered by Brightline’s proposal to operate via the interstate median strips between those cities. Illinois is the central rail hub of the US and Obama’s home. Of course, high speed rail funding was designated for there. When Ohio, Florida, and Wisconsin refused the money, I think it went to California and the north-east. The Brightline proposal is nothing new except that the Mexicans are paying for it (via GMexico Transportes SA) instead of the US. Secondly, Michigan, Illinois, and California most certainly benefited from the rejected funds intended for Florida, Ohio, and Wisconsin. To clarify, a Mexican-owned railroad purchased the Florida East Coast Railway, which has All Aboard Florida (Brightline) under its umbrella. For those of us in rail transportation, a major disappointment was how Obama politicized the $9 Billion by spreading it around to so many states, many unlikely candidates to ever have high-speed rail. Had Obama appreciated how all eyes were watching, the $9 Billion should have been focused on building out one infrastructure to operate a viable HSR system-preferably in the Midwest, given its flat topography and history of fast running steam and diesel trains (over 100 mph across many grade crossings along jointed rail). One success could have motivated private participation, or, at least a P3 concept. Oh, my mistake. Brightline is still owned by an American investment group. Just the track is owned by the Mexicans. “Rail” is right. I definitely read that after California got its initial allocation, it received a second allocation from with funds rejected by Florida, Ohio and Wisconsin. In the end, the “Obama HSR” initiative did work. It gave states that really wanted HSR the funds to move their projects forward. And it didn’t even cost the much. 10 billion is a drop in the bucket. Brightline got approval by greasing Republican palms. Specifically Gov. Scott. What got cancelled had international businesses with rail experience signed on to operate. We could already have high speed rail making a profit (ignoring construction cost like every other transportation build) and expanding up the coast if the Republican plan wasn’t kill anything President Obama tried to do. Plenty of friction in local Florida counties north of Ft. Lauderdale; financed by worried competitors (air, bus, auto) using well-financed lobbyists to stir-up locals—just like in Texas today against the Dallas-Houston HSR Project by Texas Central. Just like 1990 when Southwest Airlines called in its political favors to kill the first proposed HSR between Dallas-Houston. However, to point, Scott was correct to walk from the initial Irlando-Tampa HSR proposal, as it would be like proposing to fly a 747 on that route. Now that Brightline is a fact, it made sense to allow it to secure the median strip to run between Orlando-Tampa.